As with finding the right band mates, there’s a certain chemistry that can occur between a studio engineers and an artist. The ideal situation is to find a recording studio where that certain “magic” can take place. Of course, fit isn’t just about how well you work with others. There are several other factors to be thinking about. 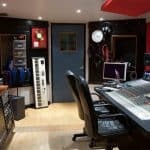 If you aren’t sure how to find a recording studio that’s perfect for you, here are several questions to guide your thinking. 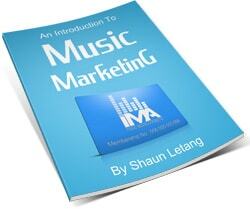 How Much Music Are You Going To Be Recording? What Genre Of Music Are You Going To Be Recording? Do You Have A Standard Of Quality You’re Aiming For? How Much Studio Can You Afford? Think about what you’re trying to achieve with your recording project, and come up with a plan. Do you know how many tracks you’re going to be recording, and how long each of them will be? The more music you have, the longer you’re going to be in the studio, and that’s going to play into your costs as well (also see: How Much Studio Can You Afford? below). The same can obviously be said for any projects involving a lot of different instruments (more tracks to layer), or a higher number of overdubs (some musicians like to layer their parts a lot; just look at Queen). It’s also important to be thinking about the engineer and/or producer you’re going to be working with, because if they impatient with the amount of work your project is going to require of them, you might want to find someone else. Working with a Hip Hop producer might not be the wisest choice if you have a Country band. Studios come in a variety of different shapes and sizes. This isn’t to say that there are different kinds of studios for every kind of genre out there, but some studios and engineers are better equipped to handle certain kinds of music over others. This is underscored by the popularity of home and project studios. Some people literally set up a studio in their basement without ever treating the acoustics, make the most of the environment, and still somehow manage to get a great sound. The technology is cheaper than ever, making it easy for anyone to set up a studio of their own. Of course, no matter what solution you choose, you should record with someone who knows their gear well. Gear, rooms, and engineers all factor into the quality of a recording. Some of the most skilled engineers can pull the best out of bad rooms, and some of the worst engineers can’t even bring the best out of great rooms. In general, I can say with some accuracy that you’re going to pay more for better quality recordings. The nicer the room, the better the gear, the more experienced the engineer, the more expensive your sessions are going to get. 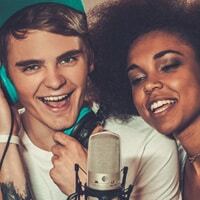 This can be a bit of a balancing act, because it’s better not to sacrifice quality unless you absolutely have to; especially if you are planning on sending your music out to influencers and radio DJs. However, there is no denying that you can achieve great quality on a smaller budget. Check out the studios and engineers in your locality, and ask to hear samples to determine who you’d like to work with. There’s no sense in going into debt to record a new demo or album, especially if you’re taking chances on a recording and you have no idea how it’s going to be received by others (which almost always the case). As I said earlier, you can still get a great quality recording on a budget. Of course, if you don’t have a budget, that’s going to limit your options. It doesn’t mean you can’t record on your own or call in a favor, but you should be aware that these situations don’t always pan out. Money shows that you are committed to your project, and others will take you more seriously if you’re willing to put both time and money into it. If you’re willing to problem-solve, you can often find a few different ways to cut costs. I’ll be talking a little bit more about that in the next section. If you have absolutely no experience in the studio, you should focus on finding an engineer that can guide you every step of the way. You’re going to learn a lot in the process, and having someone that’s willing to work with you and teach you (and maybe even give you a discount on their rates) is obviously ideal. If you have a lot of experience in the studio, then you probably know what’s going to be expected of you, how much time you’re going to need to prepare for the project, and so on. If you’re comfortable taking on the engineer role, and it would help you cut some costs, it might be an option worth considering. Fair warning; multitasking in the studio can be hard, even for the most experienced people. The ideal is always to work with experienced producers and engineers, but if budgetary constraints don’t allow for it, it’s still nice to be able to work in a great room with great gear. Hopefully you’re beginning to see the different ways in which a recording project can be approached. There aren’t right and wrong answers so much as tools that are right or wrong for the job. Recording projects don’t need to happen in one location with a particular group of people. Many projects are spread out across different studios and musicians. However, in situations like that, achieving cohesiveness is going to depend heavily on the mixing and mastering engineers. In the end, it’s all about finding what works for you right now. You’re going to be at a different place a few months or a few years down the line, and you’ll likely have different standards and requirements for what you’re trying to achieve then.